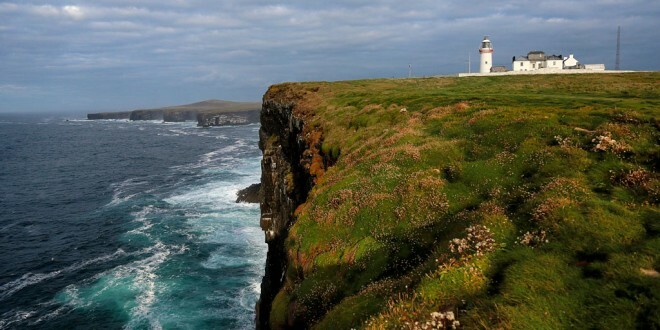 Loop Head Peninsula is the only Irish destination to be named in the inaugural Sustainable Destinations Global Top 100. A joint initiative of TravelMole.com, Vision on Sustainable Tourism, Totem Tourism and Green Destinations, the awards and recognise destinations around the world that have adopted sustainable tourism practices. Nominated by Ecotourism Ireland, Loop Head Tourism joins a host of well-known global destinations in the Top 100 List, including the New Forest and Lake District National Parks (United Kingdom), Rapa Nui – Easter Island (Chile), Vancouver (Canada), La Palma (The Canaries, Spain), Etosha National Park (Namibia), Svalbard (Norway) and Wild Coast (South Africa). Ms Donnagh Gregson, chair of the Clare Tourism Forum, described Loop Head Peninsula’s inclusion in the Global Top 100 as a “coup for Clare and Irish tourism”.